Florida Governor Rick Scott is using hospital cost cutting and a revised funding model to deal with a $400 million loss in indigent health care funding. He unveiled the plan during a stop in Jacksonville announcing his proposed $79.4 billion budget. Florida Governor Rick Scott is asking the Legislature to pass a $79.3 billion state budget next year. At a news conference in Jacksonville Monday morning, Scott went over some of the highlights of his Florida First Budget. One of those highlights is a substantial revision to how the state doles out money for indigent health care. In a fashion now ubiquitous with the Florida Governor’s announcements, Rick Scott took the lectern to the sounds of new country, surrounded by government officials and business leaders to announce his budget proposal. Scott’s budget includes a number of controversial proposals, but perhaps one the most contentious is $1 billion in tax cuts at a time when the state is scrambling to find a way to fill a $400 million hole in federal funding for an indigent health care program. Scott says he’s asking for a change to how the state disperses what little is left in the Low Income Pool to help bridge some of that financial gap. Scott’s also calling for doing away with automatic Medicaid payments to hospitals to cut costs, but isn't diverting any state funds to make LIP whole. In an emailed statement, Florida Hospital Association President Bruce Rueben instead says the governor should focus on expanding Medicaid coverage. “Low Income Pool funding reductions only underscore the need for a long-term solution to address the high number of uninsured individuals in Florida,” Rueben wrote. Although he’s a former HCA executive himself, for-profit hospitals have been on the receiving end of criticism from Governor Scott, who’s accused big hospital chains of price gouging patients. Scott’s now asking the Legislature for $5 million to establish an All Payer Claims Database. Scott says the website would allow patients, caregivers and insurance companies to keep track of hospital expenses, costs and coverage. Earlier in November some Jacksonville patients met with the governor to tell him about how they’d been taken advantage of by for-profit hospitals. Scott said he wanted lawmakers to implement recommendations from his Commission on Health Care. At the time, the Hospital Association’s Bruce Rueben said Scott’s proposal amounted to “price capping." Scott said if a procedure exceeds the hospital's average price on the database, the state would level penalties. Instead, Rueben called on Scott to implement an All Payer Claims Database like Virginia and Colorado have, which are largely for information purposes only. But it appears Scott beat Florida hospitals to the punch. If the governor has his way, hospitals would be penalized by the state if their prices exceed the average posted to the database. 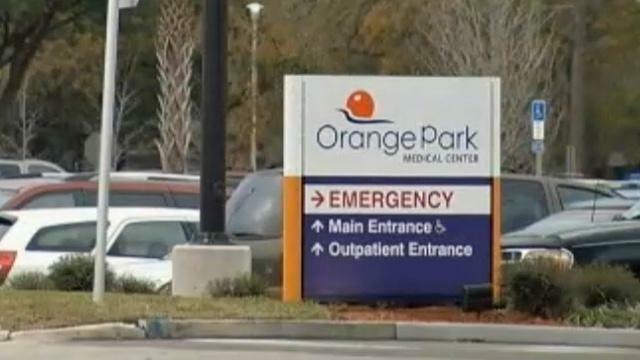 Governor Rick Scott is accusing Florida hospitals of price-gouging patients. He’s vowing to change that. 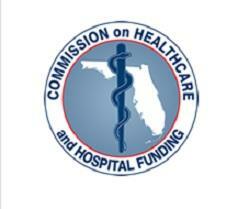 But the Florida Hospital Association calls the governor’s statements mean-spirited. A Washington Post study finds Florida is home to a large portion of U.S. hospitals that charge uninsured patients far more than the cost of care. Florida Governor Rick Scott passed through Jacksonville Wednesday touting his plan to cut state taxes by $1 billion dollars. Scott says there’s more than enough in public coffers to offset the cuts, despite state economists’ projecting just over half that amount as the expected surplus. Scott is hoping to get the public to apply pressure to lawmakers.